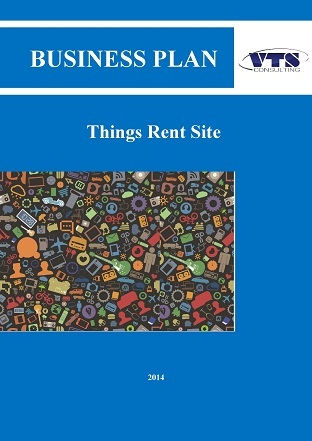 The idea of project which is offered as given business plan is a web source which will be designed for rent of different things: starting from household items to notebooks, electrical equipment and vehicles. the analysis of growth opportunity of electronic commerce market show that extensive development is possible thanks to regions, which demonstrate overtaking development effect. Nonetheless, existing regional disproportions in the electronic commerce market will continue to be. Besides, a presentation for investor is attached to this business plan. If you are going to attract investors, you could not do without the presentation. That few slides you’ll show investors could influence strongly on their positive answer. Such presentation tells not only about the peculiarities of the project, but allows to understand why money must be invested exactly into your project. Project idea: «***» – perspective Internet-project in electronic commerce market, which offers to rent things in Moscow and Moscow region. Project target audience: target audience is inhabitants of Moscow and Moscow region. During the last years the leading tendency of cash saving has manifested in segment of customers with average income as well as above average income. People begin to save money, renting necessary things, and refuse from planned purchases. The main competitors of «***» in rent and hire market are: arendorium.ru, vremenno.com, moscow.naprokat.info, mosarenda.biz, veschichki.su. The main competitive advantage of project «***» will be the presence of the courier delivery service, which saves the client from necessity of picking up of rented goods. The rapid increase in demand on rent of household things (*** %), mobile phones (*** %), cars (*** %) is observed on the market. At the same time the growth in demand on computers and office goods decreased slightly (to *** %). Clothing (*** %), household appliances (*** %), furniture (*** %) and also leisure goods (*** %) have stable positive sales and Internet-hire dynamics. Project payback period: 11 months. Diagram 1.1. Internet-Commerce Market Volume by Goods Categories, billion RUB………………………………………………………………………………. Diagram 1.2. Amount of Internet-Orders a Day by Goods Categories, thsd. orders…….…………………………………………………………………………. Diagram 1.5. Shares of Large, Middle and Small Internet-Stores of Goods Sale and Hire in 2012, % ………………………………………………………………..
Table 1.1. ТOP-10 of Internet-Commerce Market Participants, 2012……….…….. Tables (I…III). Project Financial Indicators in risk scenarios and their comparison with basic level…………………………………………………………….………..